Nestled in the rolling countryside in Northamptonshire is Dodford Manor, a beautiful collection of lovingly restored 17th century stone and oak barns. What a perfect location for a wedding and when just over 12 months ago my son and his fiancee showed my wife and I around this rural venue, we knew that they had found the ideal venue to celebrate their wedding. Both Darren & Amy work in the design industry and so knowing their attention for fine detail their wedding venue had to fit their own personal style, which Dodford Manor succeeded perfectly. Dodford Manor has a very relaxed feel about it, as soon as you enter along the long gravel driveway (mind the grazing sheep!) through the pastures which are part of an ancient deer park dating back to 1222, you feel a a sense of calm which just enhances the wedding day. 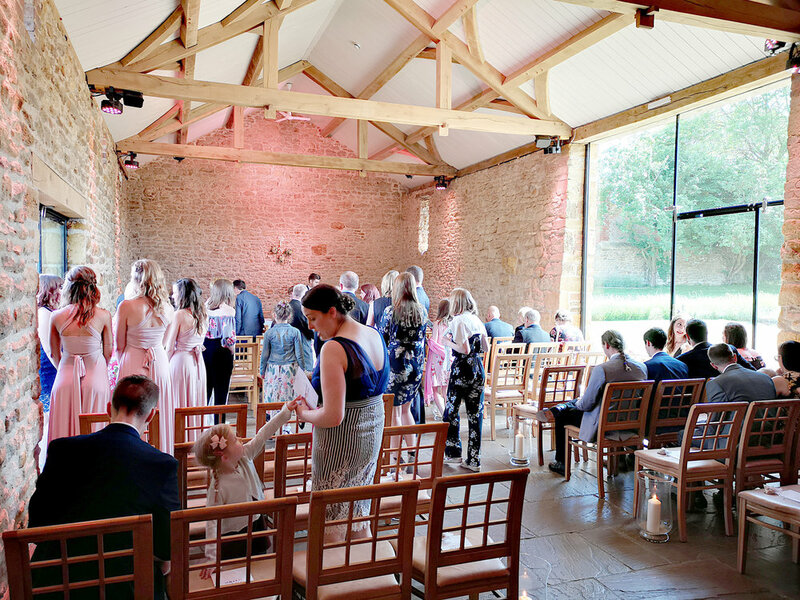 Mortain Barn is the setting for the wedding ceremony, a beautiful threshing barn with exposed stonework and oak beams and large glazed windows that lets the natural light stream through. I especially liked the arrow slit windows and a raised gallery that is an ideal position for either musicians or photographers. The Oak Barn is the main wedding reception area, with beautiful craftsmanship applied to the architecture complimented with a large glazed wall that looks out over the rolling countryside. My son commented that during the reception you couldn't help but gaze at this landscape that created the perfect backdrop. We were very fortunate that after days of torrential rain across the country in the week leading up to the wedding we were blessed with clear skies and sunshine which allowed the wedding party to make full use of the outside courtyard and seating area. In the centre there is a lawned area where the children played with the various games that had been set up for them. The delicious food served was matched equally by the attentive staff who looked after the guests with hors d'oeuvres and drinks after the marriage ceremony and again during the wedding breakfast. 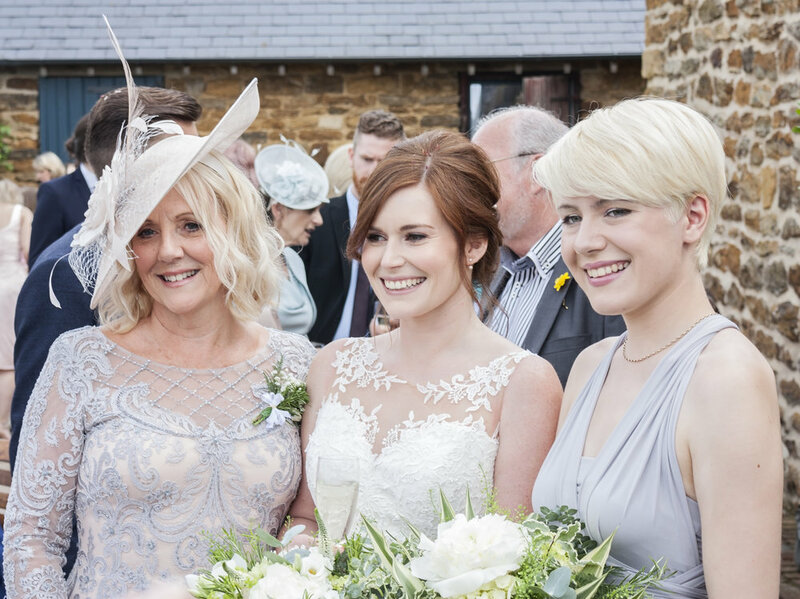 There is a wedding event manager on hand during the day to set up the barn exactly as you wish and to advise the bridal party throughout the day. 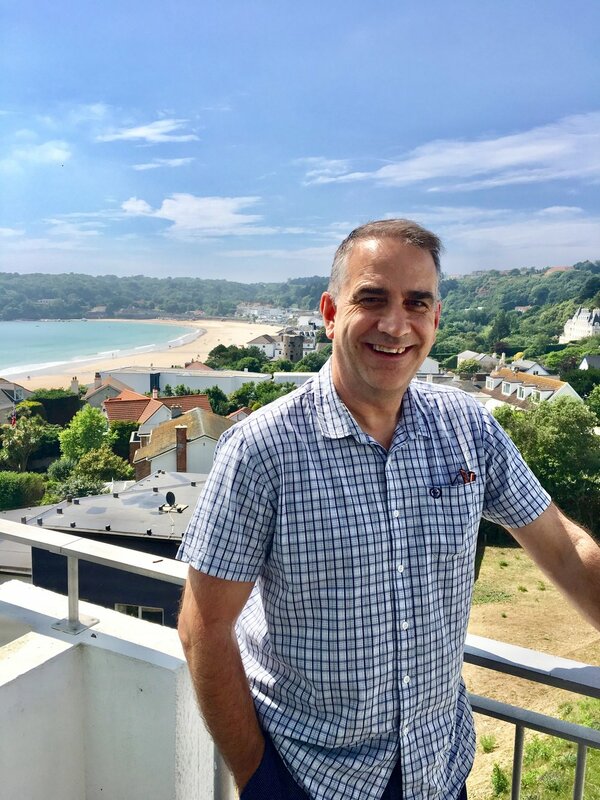 One of the unique features of Dodford Manor is that the it is an all inclusive venue so that once we had arrived in the morning we never had to leave the location until midnight when the coach that had been booked took us safely back to our hotel a few miles away. The old dairy with its luxurious leather Chesterfield sofas offers a really nice area to chill out as the evening progresses. This is also the area from where the bride and groom make their entrance after the ceremony. The Grain Store below is a luxuriously appointed suite with en suite shower room, large mirrors and comfortable furniture, perfect for private bridal preparation prior to the wedding.